While the MyVet of Tyler house-call fee is slightly higher than other clinics would charge for an office call, the convenience and time savings that we afford you more than compensate for this. Otherwise, our services are priced competitively. Can I bring my pet to your clinic? No. The whole purpose of MyVet of Tyler is to bring the clinic to your front door. We treat all dogs and cats, puppies and kittens. Our primary service area is Tyler, TX. MyVet also serves Chandler, Ben Wheeler, New Harmony, Hideaway Lake, Tyler State Park, Winona, Chapel Hill, Arp, Lake Tyler, Whitehouse, Emerald Bay, Bullard, Flint, Gresham, and other outlying areas with an additional mileage fee. If my pet has an emergency in the middle of the night, what do I do? Please call the Tyler Animal Emergency Clinic (903-534-0459). You will need to make arrangements to transport your pet to the Emergency Clinic. Will you euthanize my pet at home? Yes, if it is medically indicated. We do not euthanize pets with treatable conditions. 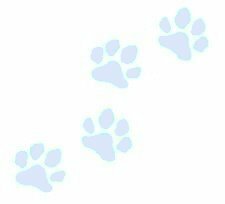 Do you provide boarding and grooming services? No, but we can provide referrals for these services. Puppy and kitten vaccine series should begin between 6-8 weeks of age. Rabies vaccine is required by law before 4 months of age, and annually thereafter. It is also important to obtain a stool sample for testing, as essentially all puppies and kittens have intestinal parasites, many of which are transmissible to people. My pet has bad breath. Should I be concerned? Yes! Pets can have serious periodontal disease or other illnesses that will cause bad breath, and many of these require prompt attention. Call for an appointment. Dr. Carol Black will assess your pet's underlying problem(s) and will recommend an appropriate course of treatment. Does my cat really need heartworm prevention? Yes! Heartworms are carried by mosquitos, and heartworm disease is very common in East Texas. A study in Longview, TX showed that nearly 50% of all cats have active heartworm disease. Heartworms kill cats. All your dogs and cats, even if they are "indoor pets", must be on some form of heartworm preventive to stay healthy. MyVet of Tyler will recommend the preventive most appropriate for your pet. We're having an awful time getting rid of FLEAS! Is there anything that works? You're right to be concerned. Not only are fleas annoying, but they also carry diseases that can be transmitted to people. Dr. Carol Black and her staff will help you with a flea-control program that will meet your needs. Call MyVet of Tyler for an appointment. Ticks are common in East Texas and can carry dangerous diseases such as Ehrlichia, Lyme Disease, and Rocky Mountain Spotted Fever. These diseases are also transmissible to people. Call MyVet of Tyler for an appointment.